We’d love your help. Let us know what’s wrong with this preview of Bomber Boy by Ike Pius. A world unpredictable, unforgiving, an 300 passengers. One plane. One bomb. One switch. One Omar Farouk to set it all aflame! To ask other readers questions about Bomber Boy, please sign up. Farouk Omar Muttab was many things, an enlisted terrorist, a failed suicide bomber, a pawn in a game where cowards offer great rewards in this world and the next, but at his essence he is a human being. And. He. Has. Been. Used. Jihadists used him and after the bomb failed to go off on flight 253, the U.S. government used him. Ike Pius has given us a brief look at the human side of terrorism in his far too brief, but extremely effective BOMBER BOY, the story of one simple man who loved his family Farouk Omar Muttab was many things, an enlisted terrorist, a failed suicide bomber, a pawn in a game where cowards offer great rewards in this world and the next, but at his essence he is a human being. And. He. Has. Been. Used. Jihadists used him and after the bomb failed to go off on flight 253, the U.S. government used him. Ike Pius has given us a brief look at the human side of terrorism in his far too brief, but extremely effective BOMBER BOY, the story of one simple man who loved his family and drank the Kool-Aid that indoctrinated his world against the Western, non-Muslim world. We are allowed into Farouk’s mind and heart, we feel his uncertainty, we know his real reasons for what he is doing and we know why he went to the U.S. government when his mission failed. By virtue of the less than “respectful” or “powerful” title, I got the impression that no one cared about Farouk because no one saw him as human? Ike Pius took the labels “terrorist” and “suicide bomber” and made them human, and in my book, he did a remarkable and eye-opening job! Highly recommended, but as I said far too short, but that said, perhaps the impact would have been lessened? Was Farouk a monster or a victim? I received a complimentary copy from Ike Pius! I have never read a book about terrorism before so I gave this one a try. I read it in one day as it's a very short story about a boy named Omar Farouk, a terrorist that isn't really 100% behind a mission he has to complete and the situations that he has to face because of that mission. I didn't get bored of it as I wanted to know how his journey will proceed especially being part of The Brothers, the terrorism team. The story-line was good although the ending was a disappointing. It didn't flow I have never read a book about terrorism before so I gave this one a try. I read it in one day as it's a very short story about a boy named Omar Farouk, a terrorist that isn't really 100% behind a mission he has to complete and the situations that he has to face because of that mission. I didn't get bored of it as I wanted to know how his journey will proceed especially being part of The Brothers, the terrorism team. The story-line was good although the ending was a disappointing. It didn't flow with the vibe that the book gave me as a reader. The book is very "calmly" written. So the tensity of the story can be felt, but very lightly because of writing style- in a good way. So I didn't like the ending, which was like a sudden happy sentence at the end after a sad news was revealed. The ending could've been so much better. Something that could keep the tensity going. I find that the ending didn't fit the story well. But other than that, for me it was interesting. I also didn't expect the happening before the book ended, especially after Farouk had contact with the police. I thought that he'll be fine after that... but then something else happened. Farouk had to blow up a bomb on a plain, but it failed. He even went with one backpack as he knew that he was going to die. I don't understand how he had enough money to eat, pay the taxi and a room to stay in, after he landed. Meaning if you know you're going to die and didn't think about the bomb not blowing up, then I imagine him leaving everything behind for his family. Bomber Boy: The Rise of The Underwear Bomber deals with the controversial subject of terrorism in a mature and sensitive manner. The tale is a spin-off from Ike Pius’ novel The Paradise That Was (which I haven’t read but intend to soon) but it stands alone as an impressive short story. In the post-9/11 world, few narratives have dared to explore the perspective of a terrorist, but Bomber Boy breaks that mould. At times it reminds of the acclaimed movie Zero Dark Thirty, but comes from a drastical Bomber Boy: The Rise of The Underwear Bomber deals with the controversial subject of terrorism in a mature and sensitive manner. The tale is a spin-off from Ike Pius’ novel The Paradise That Was (which I haven’t read but intend to soon) but it stands alone as an impressive short story. In the post-9/11 world, few narratives have dared to explore the perspective of a terrorist, but Bomber Boy breaks that mould. At times it reminds of the acclaimed movie Zero Dark Thirty, but comes from a drastically different angle. Where the western view is presented, it is in the form of news reports - faceless, robotic, biased and eager to ignore the individuality of those outside its societal ideals. This is subtle satirical tactic is both clever and effective. Particularly profound are the descriptions of Nigerian culture, which continue the project of Chinua Achebe and Chimamanda Ngozi Adichie of reclaiming a culture too often misconstrued by western discourse. The direct and frank comparison of American and Nigerian food illustrates this excellently. Have you ever had an instance when you were given something to do and things don't go exactly as planned? This is exactly what happened to the main character, Farouk Omar Muttab, in "Bomber Boy." The mission he was given on a flight headed towards the United States goes horribly wrong. This story is a journey about how he copes with the aftermath of this fluke. I liked how much detail the writer went into in regards to Farouk's thought processes: the reality of having no back up plan and the uncertainty of what to do next. Some extra eyes could have been used on the work for proofreading, but the way the story was broken down made for a very easy read. The action spiked in just the right parts and I found myself in great anticipation of what was to happen next. Despite touching on sensitive matters, Bomber Boy is a very exciting read that gives an interesting perspective and some things to think about. I could envision this being a conversation piece not just with those close to you but others in reference to world affairs. I was actually approached by the author himself through my blog to see if I would be interested in reading a copy of his book in exchange for an honest review. I don't mind admitting I was a bit sceptical to whether or not it would be something I would be interested in reading but after reading the description and some other reviews I thought I would give it a go. Bomber Boy is a short story which was originally intended for a magazine. I have read many books where terrorism features as the main I was actually approached by the author himself through my blog to see if I would be interested in reading a copy of his book in exchange for an honest review. Bomber Boy is a short story which was originally intended for a magazine. I have read many books where terrorism features as the main storyline but I have never read a book which has been from the prospective of a terrorist. Saying this though I don't think the main character, Farouk is fully committed to the idea either. There are parts of the book which I found to be quite humorous and later on ironic. Even though terrorism is something certainly not meant to be taken lightly I think the author is trying to give a slightly different approach to the subject. Overall it is an enthralling read though slightly let down by the ending but I certainly would recommend this book to fellow readers and I would certainly read more by the author. 1.) The imagery employed is excellent. Ike does a great job of painting a picture in the reader's head without doing what I call an "info dump." 2.) The style of writing reminded me a bit of Hemingway's. It's uncomplicated and matter-of-fact, which is something that can be really tricky to do well. 3.) The pace can be a little slow at times, but when it hits its stride, Bomber Boy is a page turner! 1.) Certain people who read this could take it the wrong way. Ike clearly stated in his Intro that he wants to, "state emphatically that this book is not an attack on Islam," but we all know how it can be really easy for some people to take things the wrong way. There are also a few moments where the characters make generalizations that could be offensive if taken out of context. The topic in and of itself is a tough one. 2.) This one could be taken as a good thing or a bad thing, depending on the reader's specific tastes, but I'm not exactly a huge fan of the episodic format. There's nothing wrong with the way it was done, if that's your thing, but it's not generally my cup of tea. 3.) There are some references to pop culture that not every reader may understand, such as Chris Rock or James Bond. This could also run into some issues with copyright, depending on how grumpy people are being. Farouk Muttab had what was supposed to be a simple job: Board the plane, blow up the plane. But what does a suicide bomber do when his bomb doesn’t detonate? Bomber Boy is a short, episodic story of the reasoning behind terroristic attacks and the thoughts of the bomber. What Didn’t Work: The story is short and written in episodes rather than chapters. Because it is such a brief tale the conflict and reasoning for the attack were lost on me, a person who doesn’t keep up with all the political conf Farouk Muttab had what was supposed to be a simple job: Board the plane, blow up the plane. But what does a suicide bomber do when his bomb doesn’t detonate? What Didn’t Work: The story is short and written in episodes rather than chapters. Because it is such a brief tale the conflict and reasoning for the attack were lost on me, a person who doesn’t keep up with all the political conflicts as often. The format is still in need of editing, there are as many as four spaces between paragraphs making the story only appear longer. More detail or explanation can be added to fill in the story and plot. What Did Work This is a bold and daring story to tell.. In today's political climate no one wants to consider thinking any action of a terrorist is honorable. This character is best described as an anti-hero. If you can step out of personal issues and the condition of a suicide bomber you can see the honor in the fate of Farouk. Talk about an interesting idea. 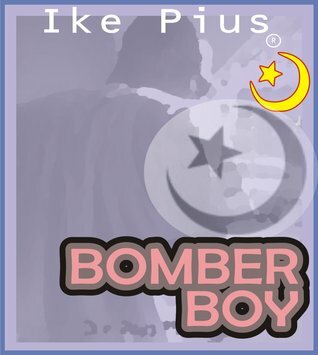 Bomber Boy by Ike Pius is not for the overly sensitive. Honestly, I don’t believe I am, but this story kinda got to me. Though a simple tale, it was compelling all the same. With all that has been going on in the world of terror, we find an unlikely… (I don’t know what to call Farouk Omar Muttab). Part of me wants to condemn him as an antagonist, while the other part wants to view him as a protagonist. So what do you do? You see, the author builds a clear picture Talk about an interesting idea. 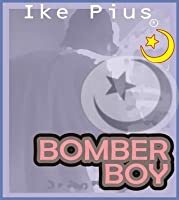 Bomber Boy by Ike Pius is not for the overly sensitive. Honestly, I don’t believe I am, but this story kinda got to me. Though a simple tale, it was compelling all the same. With all that has been going on in the world of terror, we find an unlikely… (I don’t know what to call Farouk Omar Muttab). Part of me wants to condemn him as an antagonist, while the other part wants to view him as a protagonist. So what do you do? You see, the author builds a clear picture of the character’s background and draws you into Farouk Omar Muttab, the man. Even when he turns himself in and cooperates with the US government, giving up details about the organizers, and trying desperately to protect his own family with little regards for himself. When he got on a plane prepared to cause its demise, the ploy fell through and, fearing for his family, took selfless steps to set things straight, in a way. It’s difficult not to feel bad for him. That bothered me because I didn’t want to care about him. Bomber Boy is a very sentimental story by Mr. Ike Pius about a young man named Farouk Omar Muttab who has had a streak of bad luck after his intended mission on a U.S. bound flight had gone wrong. Citing the events on the plane, Farouk decides that blending in with the United States population is the most prudent course of action. In doing so, he had some unexpected company and things go on a bit of a roller coaster ride that climaxed at the right moments. With all that has occurred, it resulted in a finale that was somewhat interesting. "Bomber Boy" is the sequel to the novel "The Paradise That Was". Reading the latter will tie in the prior for the reader. Sentence structure suffers from improper use of punctuation marks, chopped up sentences can be compounded for maximum effect, as well as utilization of homophones ("hiding in plane sight" vs. saying "hiding in plain sight"); all suggesting that an extra pair of eyes would not hurt. "Bomber Boy" is indeed an eye opener of a character study where the reader will have several topics to wonder and ponder as they flip the pages of this very short 27 page read. The story is solid, and is worth a look. In light of recent terrorist attacks in the last few months and indeed in the last few decades the premise may seem a little forward thinking. However the reality is even the terrorist has a voice, and this story is looking at it from a perspective other than that of the victims. Farouk is planning to kill a plane load of innocent people. Why? Because they are infidels of course. Does it matter whether he has his reasons for doing so? Pius starts out strong, but tapers off towards the end. I would have liked to have seen him explore the thoughts, mindset and interactions of the terrorist. How one minute Farouk is the friendly compassionate conversationalist to the people around him and then in his head Farouk the murderer-to-be is having an entirely different conversation. Bomber Boy starts off as an ambitious idea, but it seems a little rushed. The difficulty with a novella is that it needs to draw you in and keep you there without having the advantage of the full length novel to do so. Farouk Muttab’s mission to blow up a commercial plane didn’t go as planned, which sets in motion a series of events that has dire consequences to his life, family, and the terrorist group he is connected with. Farouk’s next step is surprising in that it’s uncharacteristic of a terrorist profile, much less of a suicide bomber. He does not quite fall under the category of a religious fanatic nor someone who was brainwashed to do the deed. Such ambiguity makes you question Farouk's real intention. T Farouk Muttab’s mission to blow up a commercial plane didn’t go as planned, which sets in motion a series of events that has dire consequences to his life, family, and the terrorist group he is connected with. Farouk’s next step is surprising in that it’s uncharacteristic of a terrorist profile, much less of a suicide bomber. He does not quite fall under the category of a religious fanatic nor someone who was brainwashed to do the deed. Such ambiguity makes you question Farouk's real intention. This makes the character even more intriguing and open to different interpretations. Perhaps, it depicts the uncertainty and doubt that men and women in the same situation wrestle with. The story deals with the sensitive issue of terrorism and how easy it is to switch loyalties when innocent lives are threatened. But more than that, it depicts an internal struggle, the one that can drive you crazy when there is a thin line separating the right and wrong. Bomber Boy is a novella which was initially intended to be a short magazine or radio feature and broken down into episodes it's a quick read. Farouk Omar Muttab is a terrorist and when we first meet him he's just pressed the switch to trigger his bomb whilst travelling on Northwestern Airlines Flight 253. Fortunately for the other passengers onboard, the bomb fails to detonate and the flight lands safely but unfortunately for Farouk, it means he won't be going to heaven but he will be in serious Bomber Boy is a novella which was initially intended to be a short magazine or radio feature and broken down into episodes it's a quick read. Farouk Omar Muttab is a terrorist and when we first meet him he's just pressed the switch to trigger his bomb whilst travelling on Northwestern Airlines Flight 253. Fortunately for the other passengers onboard, the bomb fails to detonate and the flight lands safely but unfortunately for Farouk, it means he won't be going to heaven but he will be in serious trouble with the people who hired him. This is a satirical, current story about the War Against Terror from the point of view of a would be terrorist and is quite humorous in places. The plot moves quickly enough to hold your interest and it's an interesting read that will leave you with several topics to contemplate. With kind thanks to author Ike Pius for the review copy. 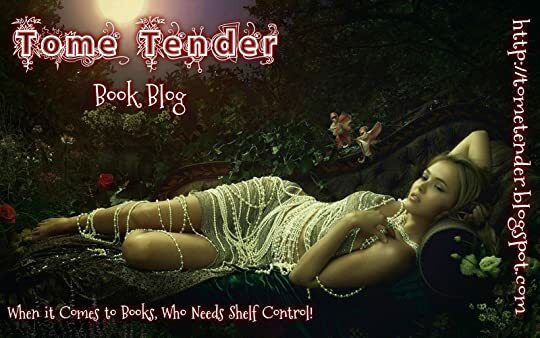 The main character is Farouk, as you This isn’t my normal genre I’m willing to admit but after being approached by the author for an honest review and reading reviews already posted I was intrigued and wanted to see for myself what this book was about. Cover: It's an interesting cover, after I read the book It did not seem to match the seriousness of the book but its a simple and interesting cover overall. My Thoughts: Bomber Boy is a very current novel, very into whats going on in the world today. It is of a very serious nature with a spin that shakes the pages of this book making it a more enjoyable read.The author has a very attuned ability to create tension which is the key to making any thriller work. Had a few funny moments that livened u Cover: It's an interesting cover, after I read the book It did not seem to match the seriousness of the book but its a simple and interesting cover overall. My Thoughts: Bomber Boy is a very current novel, very into whats going on in the world today. It is of a very serious nature with a spin that shakes the pages of this book making it a more enjoyable read.The author has a very attuned ability to create tension which is the key to making any thriller work. Had a few funny moments that livened up the spirit a bit which was a happy welcome. Overall a good read, especially for fans of this genre.